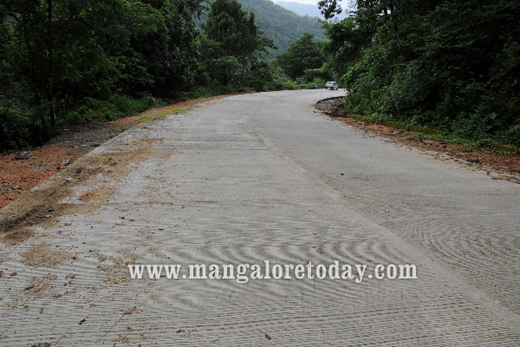 Puttur, July 06, 2015: The concretisation of the Shiradi Ghat stretch of the National Highway 66, a vital link between Mangaluru and Bengaluru, is underway on a war footing and the first phase works are expected to be completed soon. 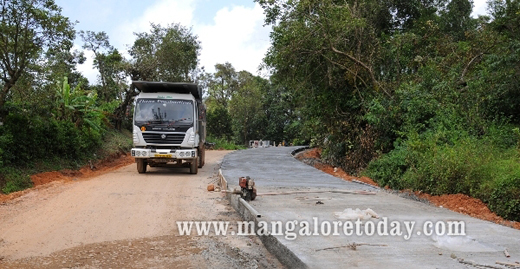 According to Prasanna, Senior Engineer in National Highway Department presently concretisation of 600 meters stretch of road is yet to be completed and the works are expected to be completed in another four days provided it does not rain heavily. Meanwhile, the hope is that the road may be thrown open for traffic on August 1 if everything goes on expected lines and rain does not play truant. The Senior Engineer also informed that every effort has been made to ensure that the concretisation was of the highest standards. Farooq who spoke on behalf of the contractors explained the hurdles faced during the implementation of the work and even stated that some people drive vehicles on just laid concrete mix least bothered about the consequences. The public should co- operate with the workers as it is not a easy task. They should follow the path given to them as, it might be dangerous and not to task risk. 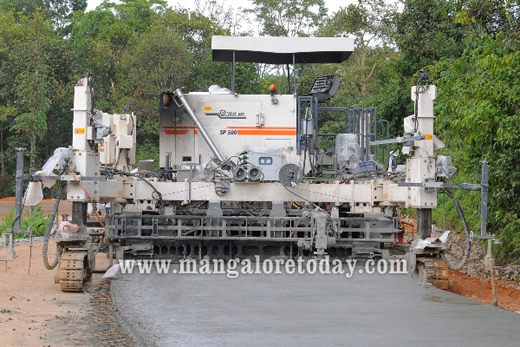 The government and the employees are working hard for the completion of the well bedded concrete roads.